open despite the inhospitable and uninviting exterior. 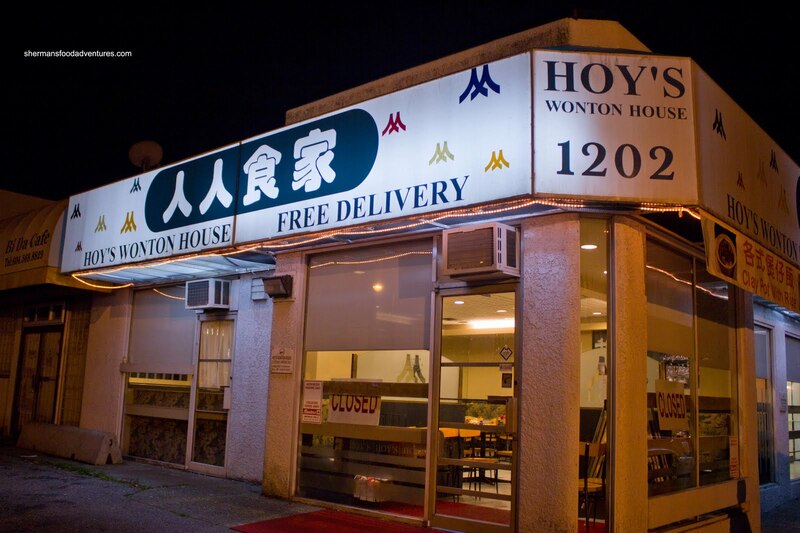 Now, I'm sure you know my displeasure at places advertising themselves as "wonton houses" when their Wontons are not very good. Well, Hoy's is no exception. The all pork wontons were bland, a touch gritty and stiff. At the very least, the soup wasn't too bad. It wasn't salty and actually had a pleasant flavour. And this has nothing to do with my personal dislike of all pork wontons either. These reminded me of wontons of yesteryear, like in the 70's and 80's. 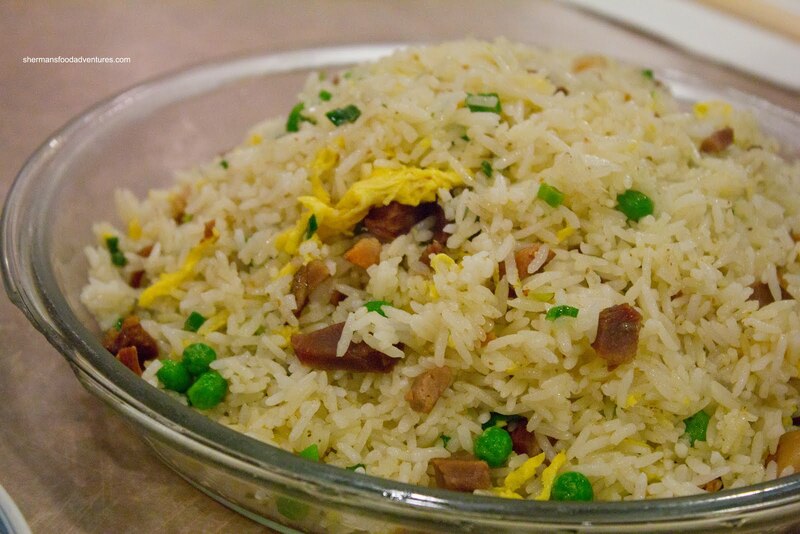 Whenever there is Milhouse and a Chinese restaurant, there will inevitably be an order of Salted Fish and Chicken Fried Rice. Now unlike the wontons, this plate of rice was good. The rice was dry and chewy while not being too greasy. 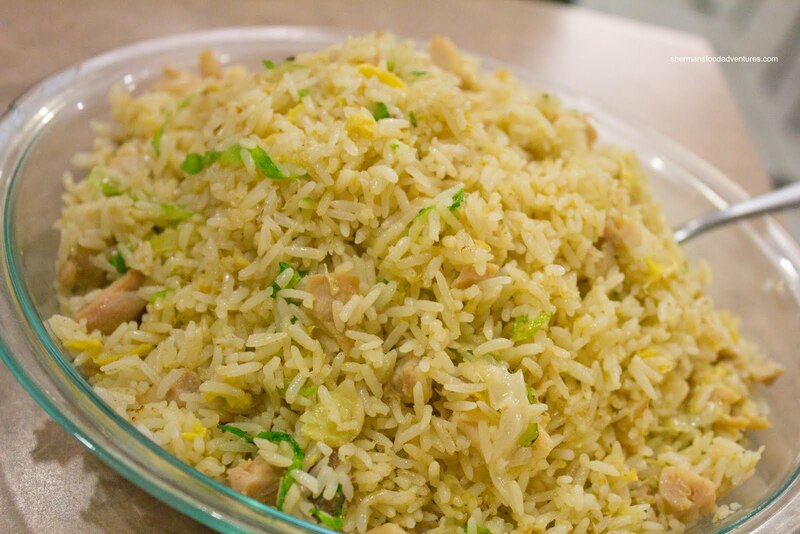 Furthermore, the rice exhibited a nuttiness that can only be a result of good wok heat. There was just enough saltiness from the fish and seasoning to give this rice its signature flavour. We also liked the moist chunks of chicken and vibrant-coloured lettuce. 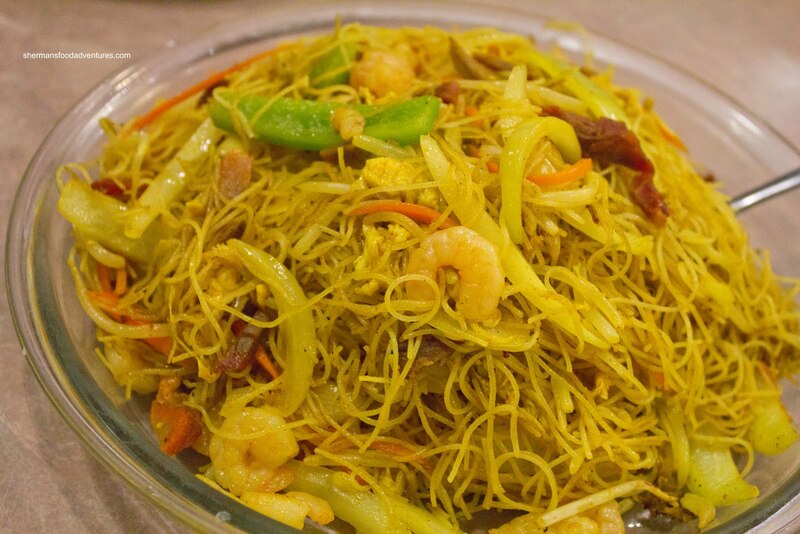 Lastly, we got the Singapore Fried Rice Noodles. I found the noodle to be a little on the dry side (but it is a whole lot better than being wet) while not greasy. There was plenty of curry flavour and ingredients. Hence, the dish was far from bland with a nice level of spice. 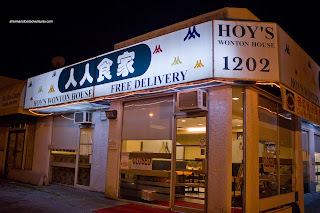 Unsatisfied with only trying these 3 dishes, we paid Hoy's a second visit a month later. What I really wanted to try was their congee. Seemed like Milhouse was on the save wavelength as he got the Preserved Egg and Salted Pork Congee. No, he didn't get the rice this time despite his salted fish fetish. He actually took the leftovers last time and enjoyed the rice for a second time. As for the wontons, he chucked them out. 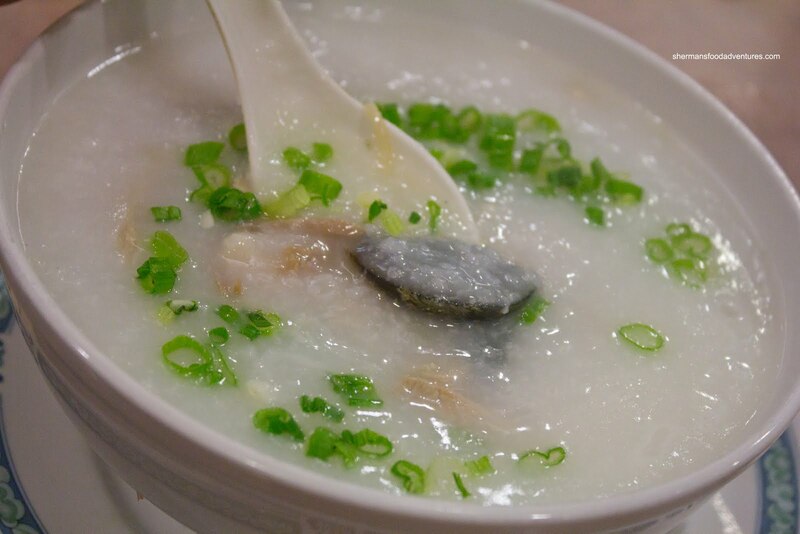 For myself, I had the Pork Offal Congee and it was quite obvious from the first spoonful that the congee was not really all that thick. It wasn't watery, but it definitely got thinner as we ate it. I tried the salted pork and it was definitely salty and had a good texture. As for the liver and kidney in my congee, they were totally overcooked and chewy. 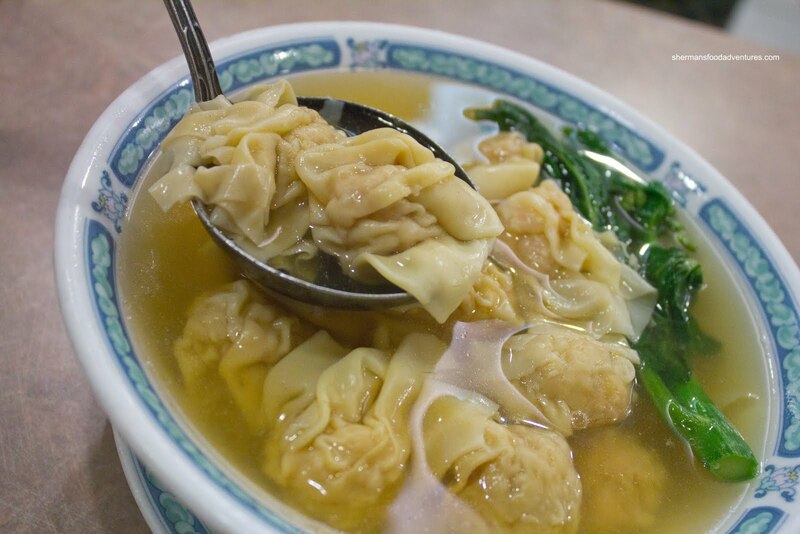 Last time, I had the wonton soup and we weren't overly impressed with the greyish dumplings passing themselves off as wontons. So I gave it another go with their Sui Gau Noodles. Usually, the main difference between a wonton and sui gau is that the latter is bigger, has more pork, wood ear mushrooms and possibly bamboo shoots. These were definitely better than the wontons. This could be partially attributed to the expectation of more pork and only a modest amount of shrimp. With that being said, the texture and flavour of the sui gau was better than the wontons. Maybe these were fresher? 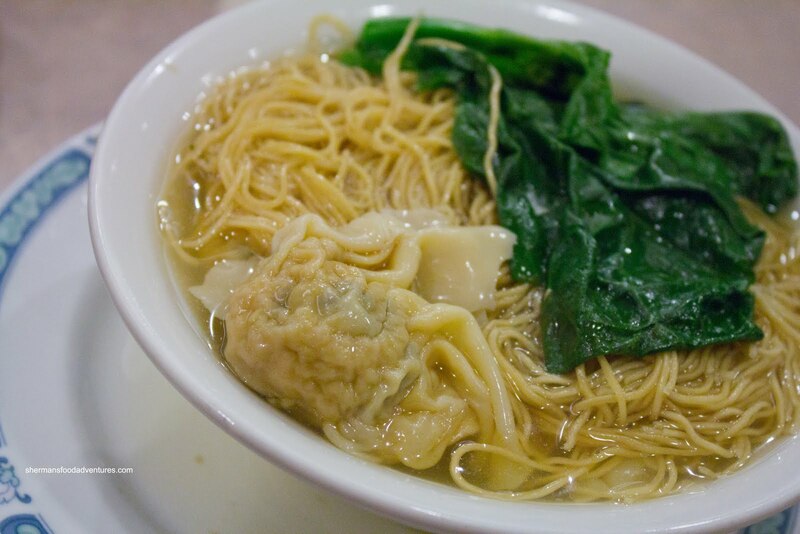 As for the wonton noodles, they were perfect. Cooked perfectly chewy, they stood up to the soup until the last strand. 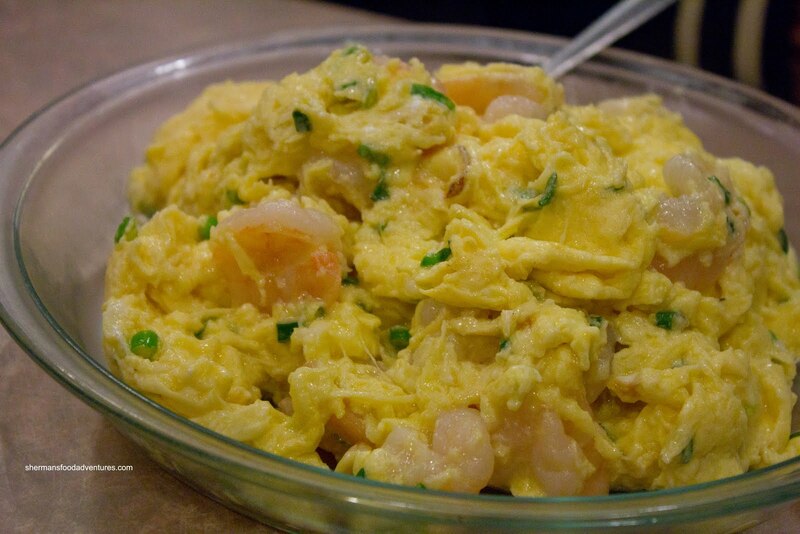 Boss Woman only agreed to join us since I convinced her that Hoy's would have her favourite dish - Scrambled Eggs with Prawns. To our horror, it wasn't on the menu. For t he love of... What Cantonese restaurant does not have this on the menu??? Well, fortunately I asked in Chinese and it turns out that they could make the dish for her. Phew... I didn't want to see Boss Woman mad after all! And for a dish they didn't even have on the menu, it was very solid. 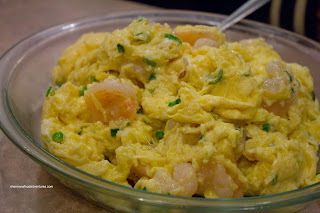 The eggs were fluffy (and not watery) and the prawns were big and crunchy. Furthermore, the dish wasn't oily and had just the right amount of salt. Sweet Tooth originally wanted something small, but for some reason or another ended up with a full plate of BBQ Pork Fried Rice. It kinda reminds me of when I go out to eat. I say I'm not that hungry, but then end up ordering 3 items! Well, much like the last time, the rice was prepared with enough wok heat which produced a nutty caramelized flavour from the rice. It was slightly on the oily side though. So these 2 visits pretty much gave us a clear indication of what Hoy's is about. The food was generally okay and reasonably-priced. 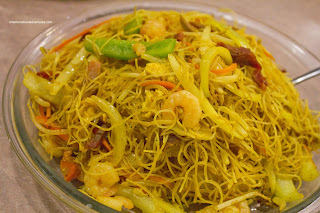 However, the congee and wonton noodles pale in comparison to places like Congee Noodle King, Congee Noodle House and Kwang Chow. But then again, at 1:30am, we can't be overly picky. Hoy's been around a long time, as far back as early '80s I can recall. I go there about once a month, usually late in the evening. They make a mean curry beef brisket on rice. And their regular beef brisket is pretty good too, flavourful and falls apart with chopsticks. Congees are pretty meh, though, but cheap 'nuff. Curry beef brisket means I'm sold. Guess I'll have a late night eats here sometime soon. Thanks Lotus. Kevin - let me know what you think of their curry. @LR Okay, curry beef brisket it is next time I'm there!